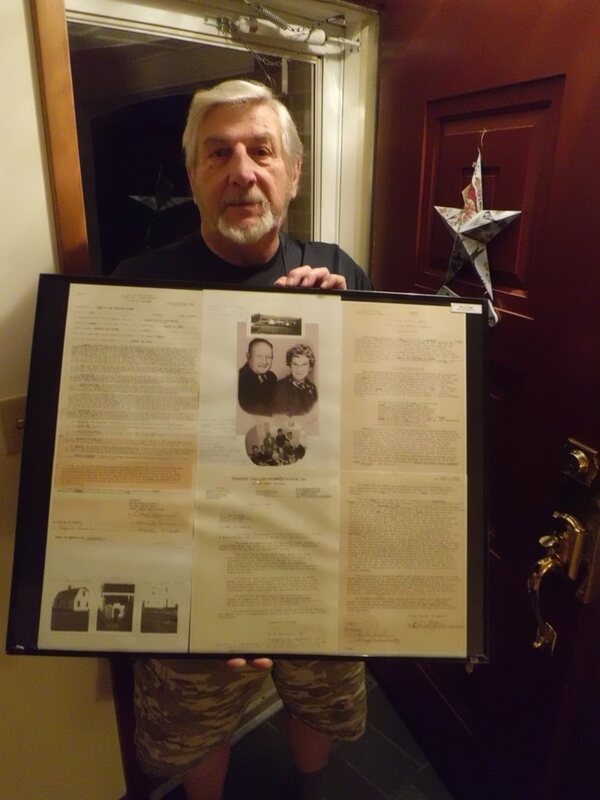 Sonny Knaggs holding a picture of his parents, who were original homesteaders at the Tygart Valley Homestead in the 1930s. 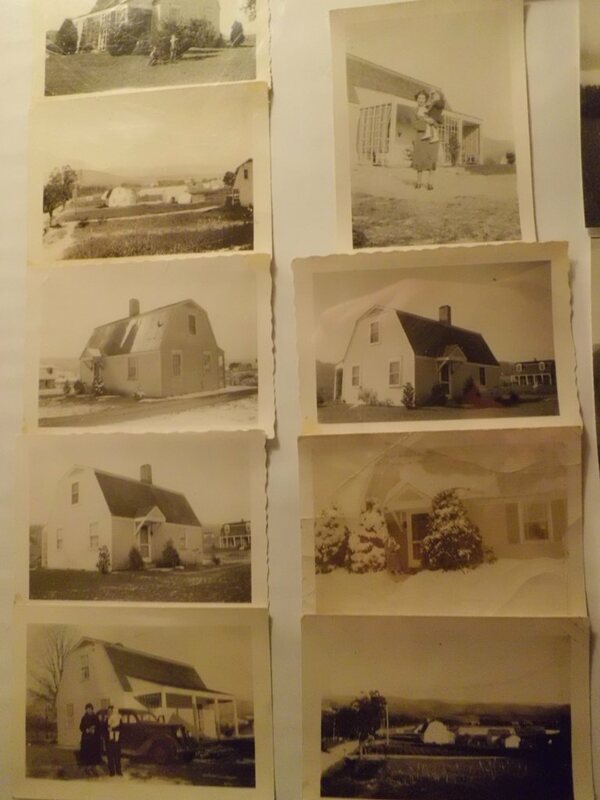 Photos of the Knaggs’ original Homestead home. 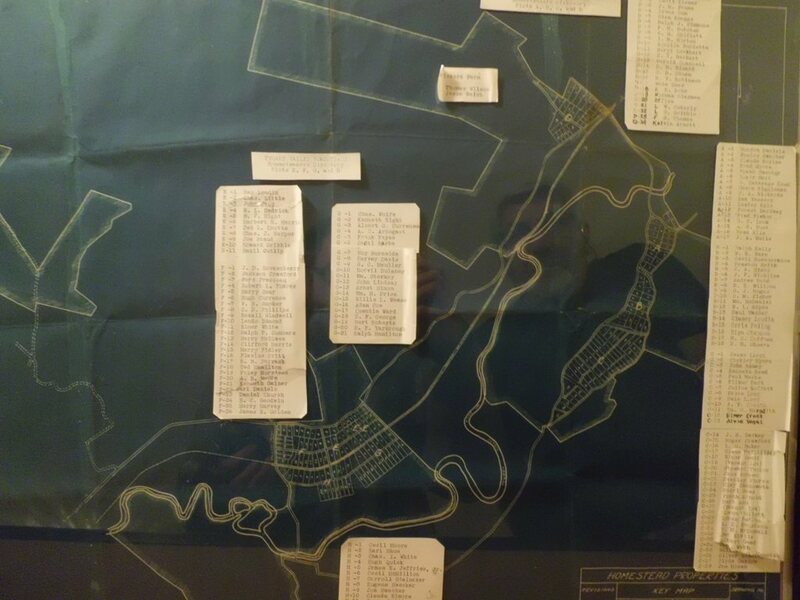 Original blueprint of the Homestead communities saved by Sonny’s father. Blueprint shows the three Homestead communities of Dailey, East Dailey, and Valley Bend. Lists of the original Homestead residents are also shown. 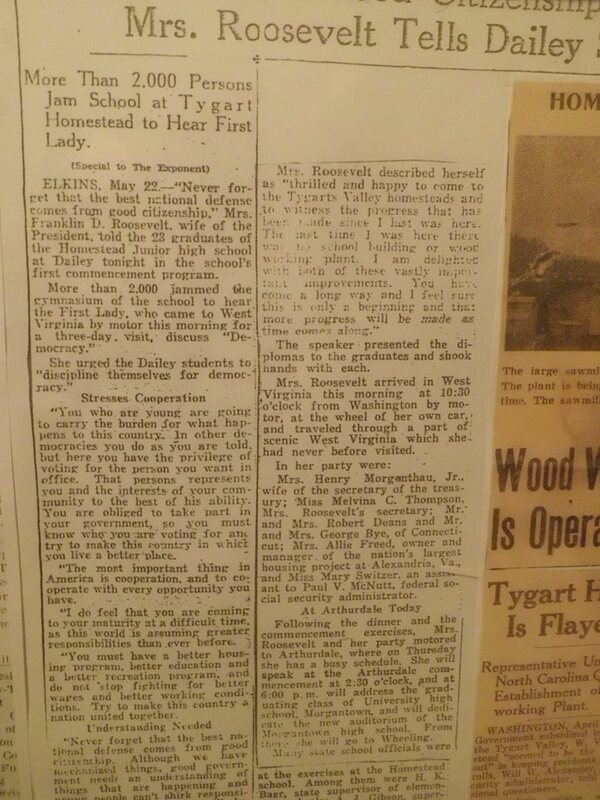 Original article about one of First Lady Eleanor Roosevelt’s visits to the Tygart Valley Homestead. 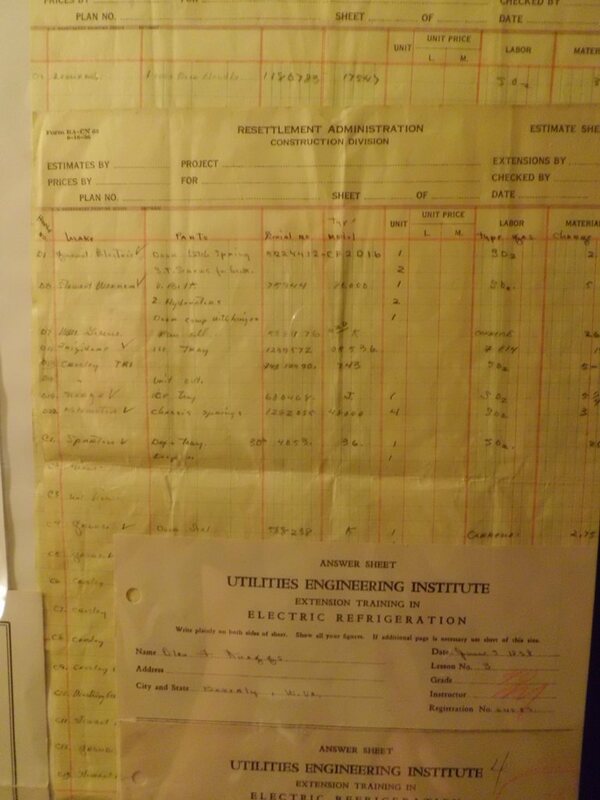 Original estimate sheet from the Resettlement Administration, invoicing some of the electrical work Sonny’s father did as part of the Homestead’s construction. From 1936.